Formal Recruitment occurs every spring semester. It is a time for women who are interested in being a part of Greek Life at CSU, Chico to meet six Panhellenic chapters in a formal setting. Each night is filled with different activates and memorable experiences to see where each woman feels the most comfortable and if the Greek system is a correct fit. 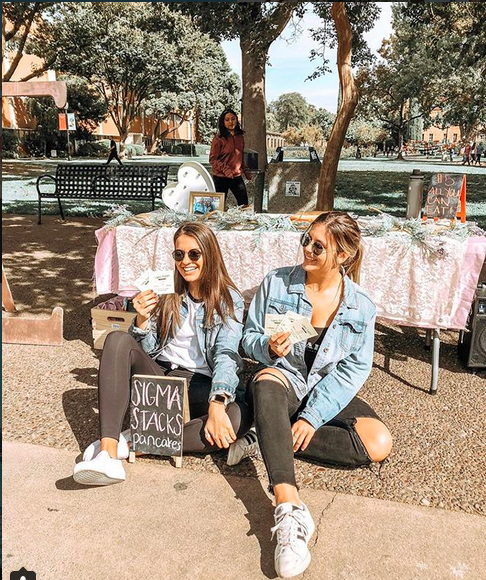 For more information about formal recruitment at CSU, Chico and to sign up please visit: http://chicosororities.com/home. To participate in formal recruitment a woman must be enrolled for credit in at least twelve units at CSU, Chico, a student in good standing (a CUMULATIVE COLLEGE GPA of a 2.65 or higher) and must be at least a second semester freshman. Are you an alumnae and want to recommend a new member? Please fill out a recruitment introduction form or email our VP of Membership at deltaiotaskvpm@gmail.com.